*English is an official language of both the UN and the EU. However, that might not be the case for much longer. This is due to the unforeseen consequences of Brexit. Each representative of a country may speak in one of these six languages. They may speak in any language and provide interpretation into one of the six official languages. 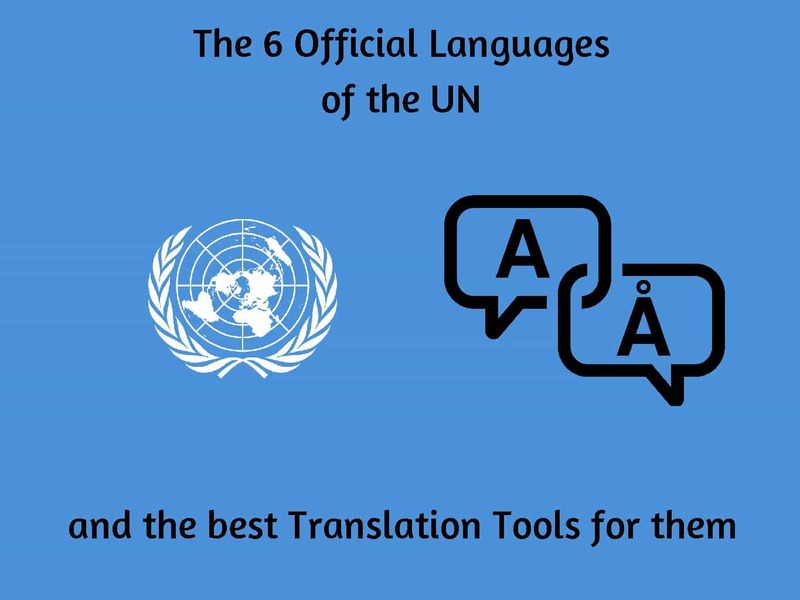 The UN provides simultaneous interpretation from the official language into the other five official languages, via the United Nations Interpretation Service. 2.8 billion people speak these 6 languages. In fact, almost half of the population of the world use any of these six languages as their official language or as a secondary language. As with anything, majority rules. The UN only used 5 languages in the early days. These were English, French, Russian, Chinese and Spanish. However, the General Assembly only made English and French working languages. Working languages are used in day-to-day professional exchanges. Spanish was a designated UN working language by 1948. In 1968 Russian followed Spain and became a designated UN working language. In 1973, Arabic was later added as an official working language, along with Chinese. Bu 1992 all 6 languages were made working languages for the Economic and Social Council and the Security Council. With these languages having such an important role and status, we have decided to find and list the best free translation tools to use for each language. Hiring a translator is not always an option. This list will help you narrow down your search when you need to translate to or from these official languages. Speak and Translate is a fascinating voice and text translation app. It is able to translate what you say into 54 languages. This app is a must have for globetrotting travellers. It makes communicating with locals not only an easy experience but a fun one too! This app can translate all 6 languages using speech-to-speech. However, judging from the reviews this app is particularly adept at translating Spanish and French. These two languages seem to be very popular on the app as a result. This app is available on both the App Store for free. Of course, Google Translate would have to make it on to our list eventually. It is probably the most popular translation tool in the world. It can be difficult to translate Arabic despite Google’s reputation. Google Translate seems to be best suited to translating Arabic to English as opposed to the other way around. You simply select the source and target language and then type in your word or phrase to translate. To get accurate results, it is recommended that you use this tool on words or direct text. Of course, this translation tool is free. It is available for free on the App Store and Google Play store. If you want to translate the other way around then you should consider changing translation tools. Babylon is definitely an app you should consider using. Amazingly, it has over 1,700 dictionaries, thesauri and encyclopedias and allows you to translate both full sentences and words. Additionally, it has a Guinness World Record for the most downloads of a software app. This app is free on the Google Play Store. This simple and free translation tool is one of the best in the Machine Translation category. SYSTRAN is more than just a word-to-word translator. It is able to preserve the meaning of the original text. This tool works in the same way that Google Translate does. Select your source and target language and input your text. It’s as simple as that. iTranslate 10 is one of the best translation apps available today. It allows you to download language packs so you only have the translations of the languages that you care about. This application also has an offline mode. When enabled, it has text-based translations in eight common languages (English, Spanish, French, German, Italian, Russian, Portuguese, and Chinese). However, while using online mode, you have access to over 90 languages and voice-to-text translations. This app is available on Android and IOS. An important process in today`s globalised world is translation. Hopefully, these translation tools and apps will make this important task a lot easier for you.